Reverend Father Peter Zuni of the Queen of Apostles Catholic Church, Kakuri parish, Kaduna State, has been sacked for marrying two wives secretly. Reports say the first wife is dead while the second wife is nursing a baby for the 54-year-old Priest. Catholic doctrine stipulates that only unmarried men are ordained into the priesthood as they are obligated to swear to an oath of celibacy and observe perfect and perpetual service for the sake of the kingdom of heaven. 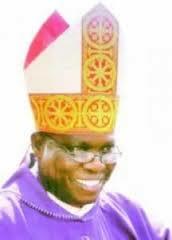 The Archbishop of Kaduna Catholic Diocese, Bishop Ndagoso Manoso, confirmed the incident. He said “It is very unfortunate that this thing had to happen in my diocese. It is not an easy thing for me; if I tell you what I have been going through in the past few weeks over this issue; it has not been easy for me. Father Zuni was my classmate; we spent seven years in the seminary.